01.) In my last post about my recent fitness goals I talked about drinking more water each day. As in trying to gulp down at least a gallon throughout the day. The flip side of that is pretty much breaking up with diet soda (Diet Coke to be exact), I'm definitely making it only a very occasional thing, so that's progress. 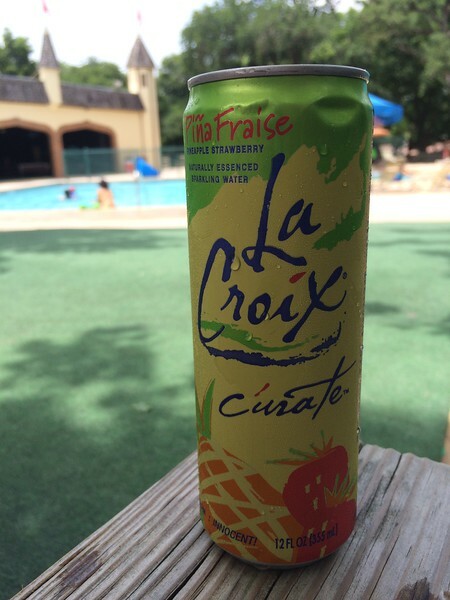 I still crave the fizz though, so I have turned to La Croix sparkling water to fix my fizzy cravings. I've actually been drinking them for over a year and there's no turning back, they are fantastically refreshing. My favorite flavors are grapefruit and this new pineapple-strawberry blend, both are very tasty, and there's nothing nasty in them. Give them a try if you get a chance! I do still drink coffee, but I drink it black. Trying to cut out junk bit by bit. 02.) Y'all probably already know I have a terrible sweet tooth and very little self discipline. Like none. I have managed to make a compromise with my weak-willed self with the help of Quest bars. While yes, they are still processed and they do contain artificial sugars, they are gluten free, high in protein and fiber and low in carbs. So...they're not perfect but not too terrible either. I allow myself one per day and that has helped curb my sweet tooth without guilt. If you warm them in the microwave for about 20-30 seconds on medium heat they are truly scrumptious and you feel like you are really treating yourself (I eat it on a small plate with a fork, like a real dessert). I am also a fan of stocking up on things that I like. I used to order them on Amazon Prime but recently found out that a local supplement store sells the boxes at a better price (TF Supplements for any locals). My favorite used to be chocolate chip cookie dough, because c'mon, but s'mores now takes the top spot. Oh. My. Yum. 03.) Okay, I just love this video. I love that it shows REAL women doing what they love, sweating it up, being active, no matter their size. Everyone's fitness journey starts somewhere and we never get anywhere if we don't start! So get ur freak on. 04.) I managed to get my goal of 6 workouts in this week and feel SO much better. I love combining weights and cardio and even though I end up working out longer, that's okay. The challenge of pushing myself to lift a little bit heavier or do another rep or punch and kick with more intensity is worth it. Each day means progress and it ALL adds up over time. This week I was all about ChaLEAN Extreme, Les Mills Combat and CIZE, next week might be something different, we'll see. 05.) 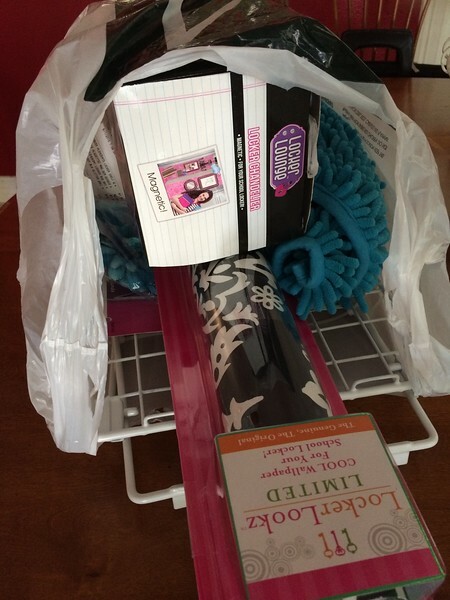 In other news, I think we've gotten everything under the sun for Annelise's 6th grade locker. I'm not sure when exactly she/we will be able to actually decorate the fool thing, but I promise I will post pics of the final result. I know y'all are on the edge of your seats. 06.) I don't think I really have a sixth thing after all. 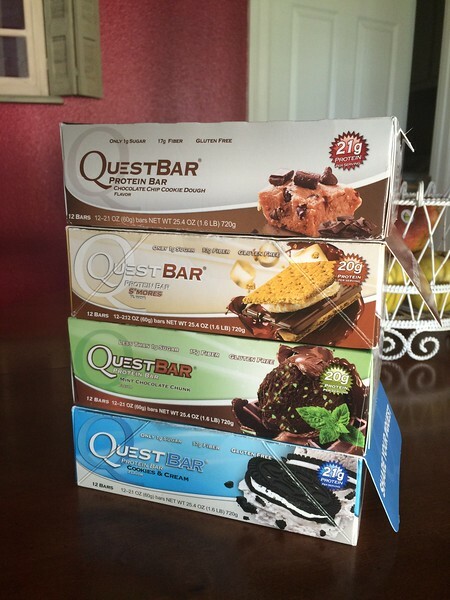 I love the Quest white chocolate raspberry…chunks of chocolate in it are YUMMY!! I haven't tried Quest bars, but I had my first taste of a Luna choc chip cookie dough. So good. Love that you're blogging about fitness. I hope to get back into blogging again soon. Miss it!